Here’s a video clip from the recent book launch for The Age of Overwhelm: Strategies for the Long Haul. To view more from the event, please visit the event page. Featured Media: Read about Trauma Stewardship as featured in The New York Times Sunday Book Review. View videos of Laura’s keynote presentations, discussions about the concept of trauma stewardship, and book events for Trauma Stewardship: An Everyday Guide for Caring for Self While Caring for Others. 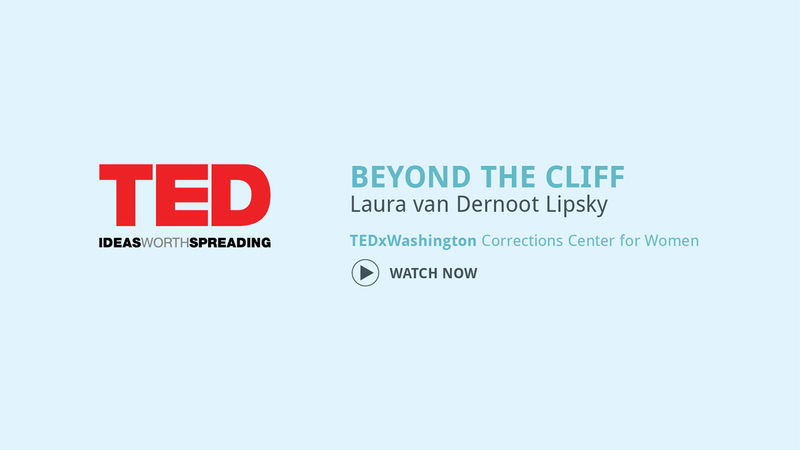 For more in-depth discussions of trauma stewardship, the inspiration behind the book, and how everyone can approach their work from a place of sustainability, listen to these interviews with The Trauma Stewardship Institute’s founder, Laura van Dernoot Lipsky. Laura’s work has been a gift to me. I’ve been sharing her work with everyone I meet. Laura is able to connect with people in a way that helps each individual understand the impact that their work has on their life—and then to laugh a bit, learn a bit, and find ways to care for yourself so that you can show up each day and be your best self. The lessons that Laura is able to help us learn are invaluable to maintaining any type of balance between work and life. She truly is the reason that I am able to sustain my work.